Wakeboard is our favorite summer playground! The white t-shirt is made of high quality, organic cotton fabric with a weight of 150 g / m, which ensures optimal wearing comfort. T-shirt sleeves are rolled up and the neckline has a narrow, ribbed finish. The t-shirt's cut is classic. 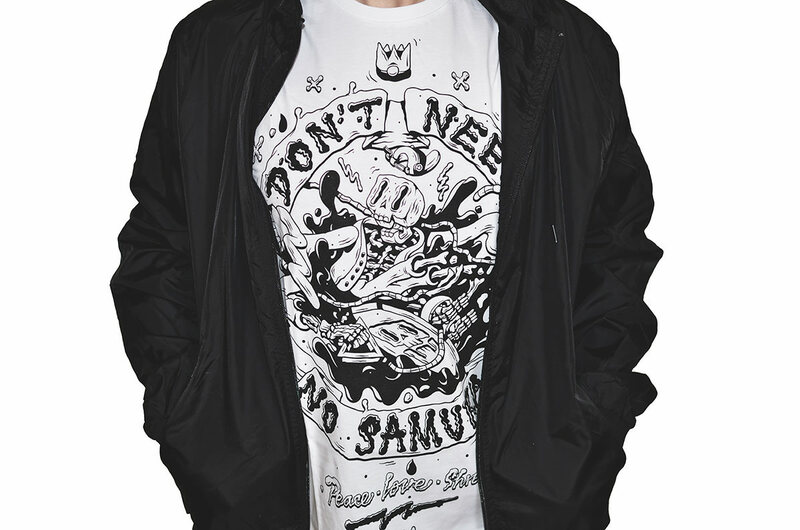 The graphics on the t-shirt are made by DXTR The Weird, a world-famous illustrator from Berlin. The print on the front and the inscription PEACE LOVE SHRED on the back of the neck was made with the screen printing method. We recommend gentle washing the t-shirt, on the left side, in 30 degrees.